Spend less time managing multiple systems and more time conducting business with FireLight® Embedded, the key that unlocks access to FireLight services within third-party solutions. 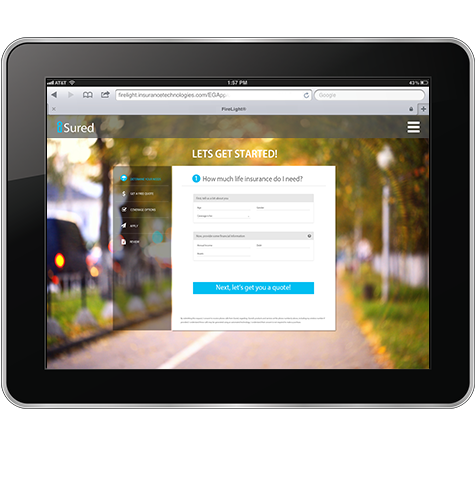 FireLight Embedded gives you complete control of your user experiences. Configure your products, rules and services once in FireLight and make them available within any third-party web application, website or proprietary sales solution - wherever your sales happen. The result: You can deliver seamless and cohesive user experiences across all lines of business for various sales channels while reducing costs associated with multiple system implementations and maintenance. Leverage the power of FireLight with your look with FireLight Embedded API. Don’t ask advisors to log in and out of multiple platforms to complete a sale. Achieve next-level straight-through processing by delivering products and processes where they already conduct business. With FireLight Embedded, sales teams no longer have to leave their preferred platform to capture pre-sales data, create an illustration or process an e-application. 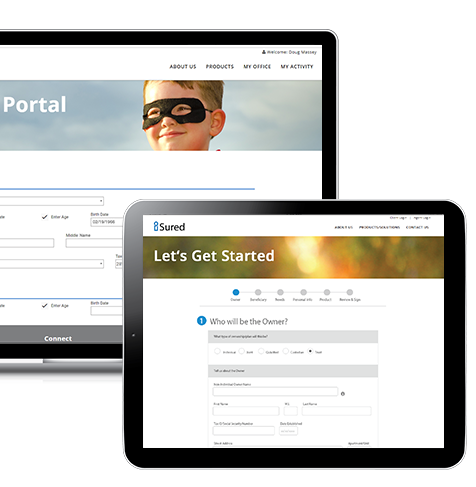 Even customers can be empowered to make post-sale or policy updates when FireLight is embedded in your direct-to-consumer portal. It’s the power of FireLight right where you need it. Managing multiple systems that don’t talk to each other? Configure products, integrations and processes once in FireLight, then make them accessible in sales systems your advisors already use and where you connect with consumers. 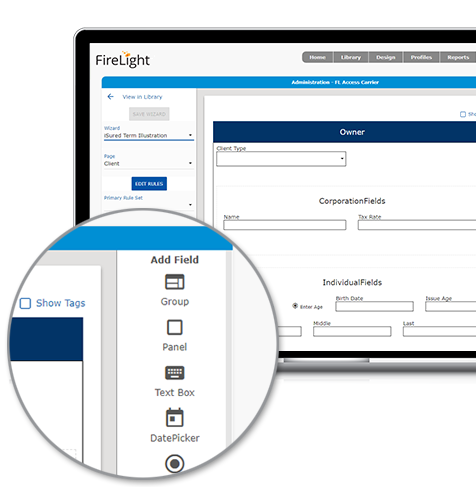 Use FireLight design tools to configure and manage your FireLight solutions, then use FireLight Embedded API to make them available within advisor portals, CRM systems, wealth management platforms, financial planning systems, direct-to-consumer solutions, post-issue servicing websites and more. Capturing new markets has never been simpler. Now you can leverage what you’ve already built in FireLight to expand into new markets and generate new sales opportunities. Deliver sales experiences that align with your business and use cases no matter your product, market or distribution method. And broaden the insurance and financial sales capabilities of your existing business solutions. Your sales teams, your advisors, your customers and your bottom line will thank you. Expedite sales by providing a consistent sales experience across all products and sales activities. With a multi-carrier environment, distributors can provide their advisors with access to multiple carriers and products quickly and easily, optimizing sales opportunities and time.